One of Samsung’s official Twitter accounts tweeted out an image on Monday that shows what may be the next Galaxy Note smartphone, as first reported by TechRadar. 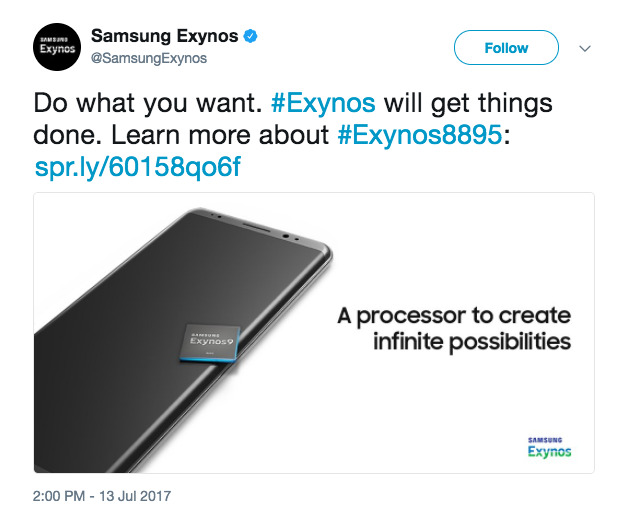 The picture in Samsung Exynos’ tweet features the company’s Exynos 8895 System-on-a-Chip (SoC), which powers the Galaxy S8 and is presumably going to be used in the next Note. The phone in Samsung’s tweet has an even thinner bezel than the Galaxy S8, and shows no physical buttons on its right-hand side, which could mean that this is a reference design of the firm’s current high-end smartphones. Samsung Exynos/TwitterSamsung Exynos’ tweet shows a device that looks similar to the one we’ve seen in recent Galaxy Note 8 leaks. 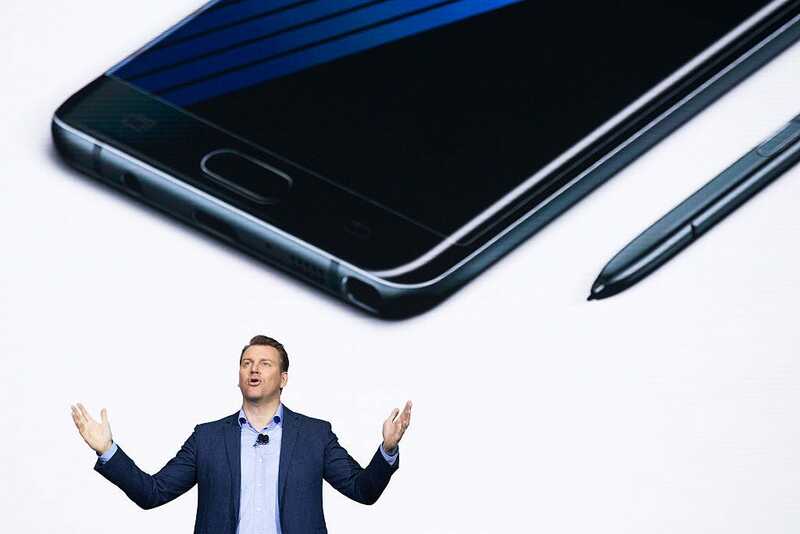 But the device in the image still resembles the phone pictured in other leaks of the tentatively named “Galaxy Note 8,” such as the one Twitter user Ice Universe (who correctly leaked the Galaxy S8 in February) shared last Friday. The device is expected to be official unveiled some time later next month, with a release on the market shortly after.